Get cash for your car in New Jersey today! Sell your vehicle today and get immediate payment when we pick up your car. We purchase cars in every city in New Jersey, sell your car in New Jersey now. Fast – Only takes 3 easy steps to get cash for cars in NJ. Selling Price – Due to our extensive network of buyers/auctions throughout the United States, National Cash 4 Cars is able to offer you the highest price for your car in New Jersey. Free & Fast Pick-up – Our drivers are able to come to all cities in New Jersey to pick up your vehicle, and give you your money on the spot. Convenient & Easy – We serve every city in New Jersey. Cash for Cars in New Jersey today! Courteous & Professional – National Cash 4 Cars works with its customers in New Jersey to ensure the easiest selling experience, and strongly values the lifetime partnership with our customers in New Jersey. Stress Free – National Cash 4 Cars buys any make of car, running or not. We buy used vehicles in all types of conditions. Get top dollar in NJy today! Expertise – Over 50 years of automotive experience, we are standing by to purchase your car in New Jersey today! 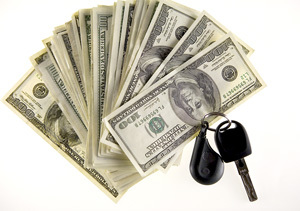 There are numerous cash for cars New Jersey companies that will buy cars in any condition. A person who is trying to sell a total wreck will probably find that selling the car to a cash for cars company is the best option. The only other alternatives would be to either sell the car to a junkyard or donate it to charity. Junkyards, however, do not offer much money for a wrecked car and one will have to pay to have the wrecked towed to the junkyard. Donating a car does not provide one with hard cash although one will be able to write the donation off of his or her taxes. If the car is still in roadworthy condition, then one may want to consider selling it via Craigslist or the local newspaper classifieds. An individual buyer may be willing to offer more money for such a vehicle than a cash for cars company. However, before selling a used car, it is important to understand what makes a car valuable and which problems devalue the vehicle. What Factors Determine the Vehicle's Value? A car that looks good but that has serious engine and transmission problems will be very difficult to sell. Repairing the engine and transmission is usually quite costly. A vehicle with serious engine problems should be sold to a cash for cars company. The company will tow the vehicle at its own expense, meaning that one will not have to deal with costly engine repairs in order to sell off an old vehicle. The more mileage a car has, the less it will be worth. The fact is that the more wear and tear has been put on a vehicle, the shorter a life span it will have. Prospective buyers know this and are not usually willing to offer a high price for a vehicle with a lot of mileage. Cash for cars companies will also ask a seller how much mileage a vehicle as, as this will determine the final price offer. The condition of the vehicle body and the vehicle's make and model will also determine how much the vehicle can be sold for. How many miles per gallon the vehicle gets can also be a factor if the car is sold to an individual. This is especially true if one is selling a vehicle at a time when the cost of gas is high. A person should evaluate the state of his or her vehicle when determining how to best sell it. If the car cannot be sold without making costly repairs, then selling it to a cash for cars company is often the best option. On the other hand, a person selling a car in good condition may want to see if he or she can find an individual buyer for the vehicle before offering it for sale to a company. An individual who wants to sell his or her car to a cash for cars company will find that National Cash for Cars New Jersey is one of the easiest companies to work with. The company will offer a price quote the same day and pick up the vehicle either that very day or the day after. The check is personally delivered to the seller as soon as the vehicle is picked up. Furthermore, National Cash for Cars does not charge the seller for the cost of towing the vehicle or filling out the necessary paperwork. The fact that the company has offices nationwide ensures that it has the ability to offer a reasonable price for a vehicle in any condition.